Our tablets are rich in isoflavones (the most active phytoestrogens in the human diet) and may help to relieve menopausal symptoms. After the menopause, the level of oestrogen in a woman's body falls and it is thought that phytoestrogens may provide a substitute for the body's own oestrogen, helping to relieve symptoms such as hot flushes and dry skin. The interest in phytoestrogens has developed because of the evidence that women in Japan and Asia who consume diets rich in these compounds, do not appear to suffer the same way with hot flushes and sweats as in the western world. In these countries, the diet is rich in soya containing foods, and menopausal symptoms are reported much less. Amongst the main phytoestrogens in the human diet are the isoflavones, which are found primarily in legume type plants such as soya and red clover. Kudzu root is also a rich source of different isoflavone compounds. 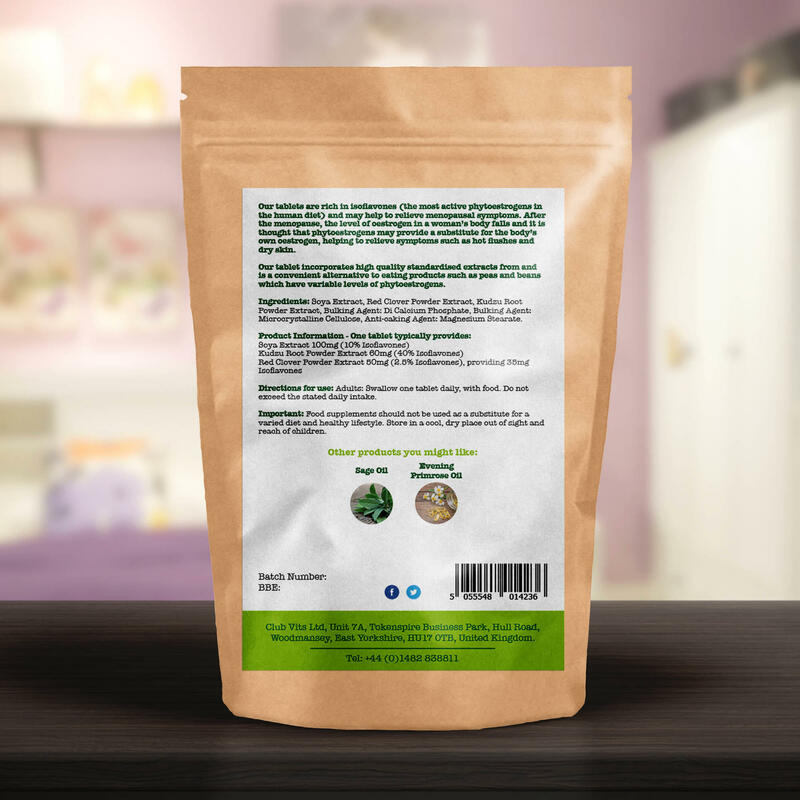 Our tablet incorporates high quality standardised extracts from all three of these plants and is a convenient alternative to eating products such as peas and beans which have variable levels of phytoestrogens. 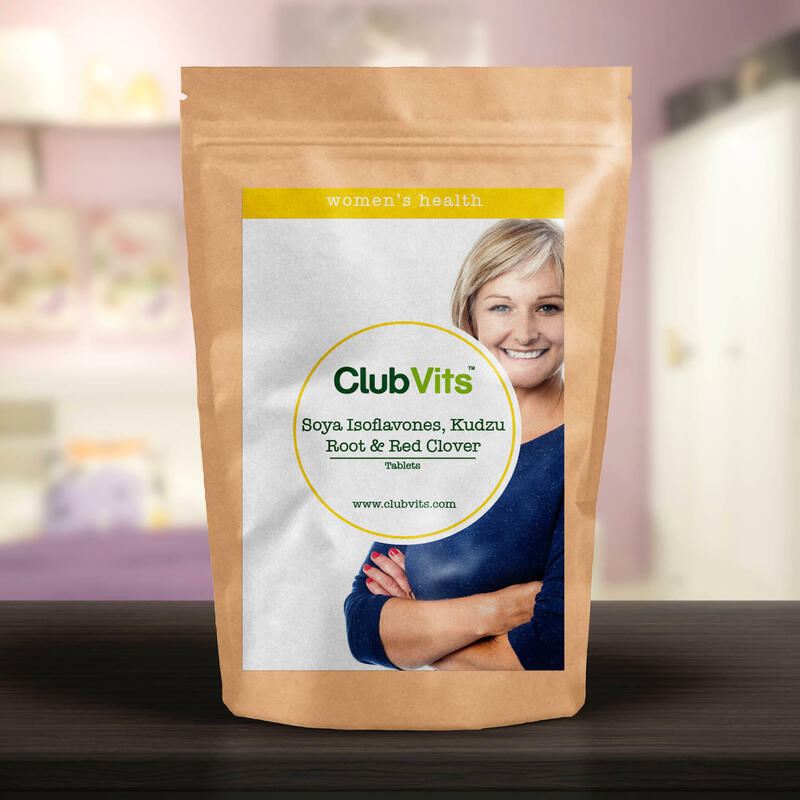 Red Clover Powder Extract 50mg (2.5% Isoflavones), providing 35mg Isoflavones. Di Calcium Phosphate, Soya Extract, Kudzu Root Powder Extract, Red Clover Powder Extract, Magnesium Stearate.